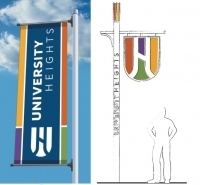 Concept art for new banners and signs bearing the new University Heights logo. A committee has been working for months with consultants from Guide Studio on the city’s new logo and branding. UH City Council unanimously approved the logo at its Oct. 15 meeting. 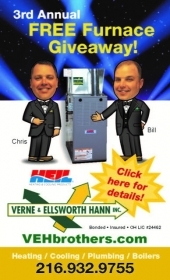 “The process was thorough. I’m pleased we met all of our objectives, and we are all thrilled with the result,” Brennan said. The process began with a review of the city’s current brand and marketing materials, followed by a survey [sent] to city stakeholders and leaders. From there, tours of University Heights were conducted, and workshops began. Data and insights were combined into a Brand Strategy Platform, which included identification of audiences and a positioning statement. The next step of the process is implementation. 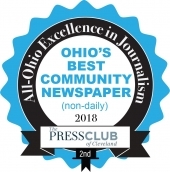 Over the next few months, the new logo will replace the old doorknocker logo, and the city’s website and social media accounts will be redesigned. City vehicles will be remarked with the new logo, and new business cards and stationery will be ordered. 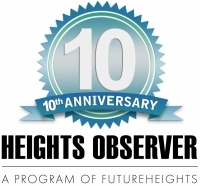 Those attending November’s University Heights Civic Awards will receive a “swag bag” filled with items bearing the new city logo.